A beautiful and compulsively readable literary debut that introduces Owen Burr—an Olympian whose dreams of greatness are dashed and then transformed by an epic journey—and his father, Professor Joseph Burr, who must travel the world to find his son. After his athletic career ends abruptly, Owen flees the country to become an artist. He lands in Berlin where he meets a group of art monsters living in the Teutonic equivalent of Warhol’s Factory. After his son’s abrupt disappearance, Burr dusts off his more speculative ideas in a last-ditch effort to command both Owen’s and the world's attention. 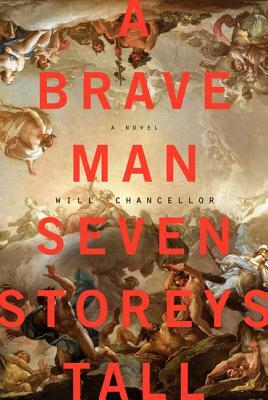 A Brave Man Seven Storeys Tall offers a persuasive vision of faith, ambition, art, family, and the myths we write for ourselves. Will Chancellor grew up in Hawaii and Texas, and lives in New York City. This is his first novel.